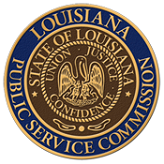 Louisiana Public Service Commission ("LPSC" or "Commission") General Order No. 2 dated July 1, 1921 requires all companies providing utility and telecommunications services within the state of Louisiana and under the jurisdiction of the LPSC to file an annual report of its financial and operating conditions. The filing deadline for the annual reports is 120 days from the end of the calendar year, or the applicable fiscal year. Effective June 19, 2012, the late fee penalty for failure to file an annual report by the filing deadline is $500. Repeated offenses or failure to pay late fee penalties may result in fines and/or penalties including the revocation of a company's certificate of authority to operate. Pursuant to General Order dated November 22, 2011, (Docket No. R-31953), "All Annual Reports filed with the Commission by regulated companies shall form the basis for the assessment of I & S Fees as provided for in La. R.S. 45:1179 and shall be sworn to before a notary public by the owner or officer/officers having personal knowledge of the facts set forth therein." Companies are advised to retain a complete copy of each annual report submittal for their records. Further, companies are encouraged to submit annual report filings via traceable delivery, such as certified or delivery confirmed mail. If a stamped “received” copy is requested, please include a copy and a self-addressed return envelope. In addition, any future changes to the fiscal year end should also be provided to the Commission in writing. Written requests for an extension of the filing deadline should be received by the Commission two weeks prior to the filing deadline. Questions may be directed to the Utilities Division at (225) 342-4999. PDF Format General Order 3/11/2014 Sections 302.B & 701.J.3 Semi-annually September 30th & March 31st Commission Complaints per 10,000 access lines for LECs with more than 100,000 access lines; or Commission Complaints per 100 access lines for LECs with less than 100,000 access lines regarding residential telecom service. PDF Format General Order 3/11/2014 Section 901.G Annually April 1st ILECs and CLECs shall file reports with the Commission Secretary on April 1st of each year which show, by month, the volume of local terminating traffic delivered to ILECs or CLECs during the previous year. f. Service performance of new market entrant. a. Annual Reports of the ILEC and parent corporation. ILECs Service Category Classification Report General Order 3/11/2014 Section 701.F.3 Annually July 1st ILEC shall file a "Service Category Classification Report" with the Commission, which shall address the classification of new services and the reclassification of existing services. The Report shall identify all new services introduced during the 12 month period through May 31 of that year and provide the basis for the proposed market classification. New services proposed as competitive will be exempted from these reporting requirements. The Report shall include any proposals for reclassifying any services, demonstrate the basis for the proposal and meet the requirements for reclassification as specified in the Plan.